What is the secret to an amazing garden? Well, a lot of gardeners, even highly experienced ones, would tell you that planting materials, seeds, and proper fertiliser make for great gardens. We don't doubt these answers, but there is one factor most gardeners, including even the most experienced folk with green thumbs, miss. 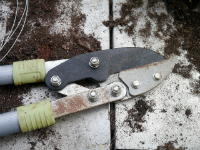 They underestimate the power of using the right gardening tools. 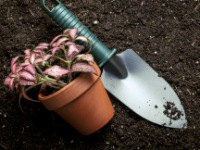 While it is possible to come up with an amazing garden with basic or non-specialized tools, the better your tool set, the more details you can take care of in your garden. In other words, with the right equipment, you can build a great garden sooner rather than later. This is why Everton Nurseries is dedicated to stocking only the very best gardening tool brands and models. We don't just stock one item or brand per category. Instead, we give you a wide range of brands and models so you have a tremendous choice in picking which tool to do which job at your garden. Our focus on tool variety, as well as quality and brand reputation, has earned Everton Nurseries the enviable reputation as the home of the garden tools Brockenhurst gardeners seek out. Regardless of how specialized the tools you are looking for may be, visit us today and see our full selection. We don't leave anything to chance. We understand that when it comes to garden tools Brockenhurst gardeners have a wide range of needs. 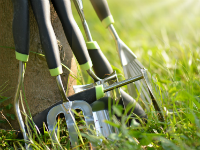 To maximize gardening success, we make sure to stock the precise range of garden tools Brockenhurst gardeners need to take their gardens to the next level. Come visit Everton Nurseries today so you can leverage our attention to detail and the close attention we pay to our customers' needs. Whether you are planting fruits, vegetables, ornamentals, flowers, or are planting any other type of garden, we offer the right tools for the right job.